Why is Lokta Paper Special? When was the last time you appreciated a piece of paper? A single sheet of paper? Something small can make a big difference, helping us be conscious of the world around us. Each sheet of Lokta paper is crafted by an artisan trained in the ancient tradition of lokta paper. Lokta paper comes from cuttings of the Lokta bush which grow naturally on the southern slopes of the Himalayan mountains of Nepal. Cuttings are made from the bush, and the fibrous inner bark is pulled into strips and then cooked into a pulpy mash. This mash of fibers is spread by hand across large boxed screens and set to dry in the Himalayan sunshine. The large sheet of lokta paper is then cut into page sizes depending on its use (for a Lokta paper journal or Lokta printer paper). The fine texture from the screen can sometimes be seen on the “screen side” of the paper. The “sun-kissed” side of the paper has a beautiful, natural texture as the fibers dry and fuse, making each page of Lokta paper one-of-a-kind. Lokta paper is tree-free as Lokta is a bush. When cut, the bush produces new shoots and can grow back to it’s original height in 5 to 7 years. Our lokta paper is not mixed with other paper fibers. It is 100% lokta. The fast growing Lokta bush makes for a sustainable and renewable source for paper making. The paper is acid-free and is not treated with bleach as with other papers. 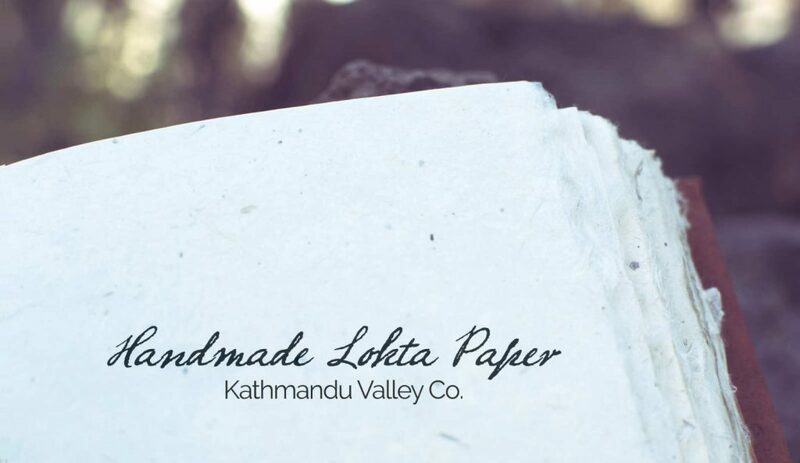 Creating Lokta paper is an art, and continues to be made by hand by talented artisans in Nepal. From the high Himalayas where the Lokta bushes grow naturally, to the heart of Kathmandu where the paper is sewn by hand into our journals, each product helps support an industry that honors this proud, tradition of handmade paper by special artisans in Nepal. 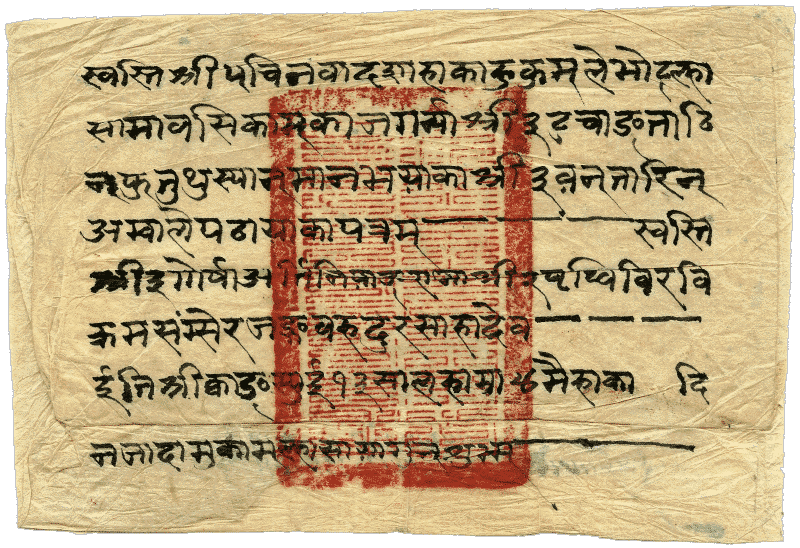 The tradition of creating Lokta paper by hand reaches back not only centuries, but a millennia, with the oldest surviving example of Lokta paper being a copy of the Karanya Buha Sutra, a Buddhist text written on Lokta paper and estimated to be 1,000 to 1,900 years old. Lokta paper has been used through the centuries in Nepal and surrounding regions. Many official government documents are still made with Lokta paper as the paper of choice.